Do You Know How Much A Video Game Designer Earn? Home Gaming Do You Know How Much A Video Game Designer Earn? Those who are interested in becoming a video game designer will want to learn as much as possible about this job, including how much people who have it make. When it comes to figuring out what a video game designer salary is like, you will need to consider a few different things. In the United States, a video game designer can make anywhere from $56,000 to over $80,000 each year. The average salary for someone who designs video games is around $73,000. 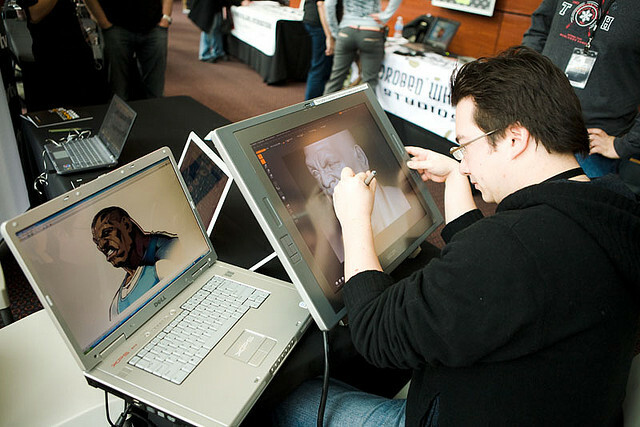 Those who are responsible for the drawing that goes into video games earn about $75,000. The amount of money that a video game designer makes depends on where they are doing this type of work. Those who do this type of work in New York City for example typically make more than those who work in smaller cities. It is also important to take into consideration the company that you are going to work for, as this will also affect how much you make. Larger video game production companies typically pay more than smaller ones, so this is yet another factor which affects the salary that these people make. Although it is true that designing video games can be quite lucrative, it can be difficult to get a job in this industry without the proper educations and skills. Those who want to be video game designers will first need to go earn the appropriate degree from a reputable school in order to get a decent-paying job in video game design. In the next seven years, video game developer jobs are expected to increase by as much as thirty percent. This means that there are lots of jobs available in this particular industry, making it a very popular choice for those who go to college. The amount of education you will have been one of the most important factors when it comes to how easy it will be to find a job in video game design, as well as how much you are going to get paid. Those who have a lot of education as well as experience doing this type of work typically get paid more than those who do not. The longer you stay in school and the higher of a degree you have the better, especially if you want to make big money designing video games. Right now the video game industry is booming and the demand for designers is definitely on the rise. Those who have lots of experience working with numerous companies that make video games usually get paid more. If you are just starting out from college, you can expect to make around $50,000 at your first job. As you gain more experience with designing video games and working for different companies, video game designer salary will most likely increase. Anyone who is serious about becoming a video game designer will need to start doing as much research as they can into this type of position before deciding whether or not it is the right career path for them. Just feel free to give your views that how much a Video Game Designer Can Earn? leave your comments below. Hi, my name is Jason.I’m a university graduate with an immense passion for all things gaming. My dream is to become a video game developer.